Ayers Ends Silence On Obama, Terrorist Accusations In the last days of the presidential campaign, William Ayers became the focus of attacks against Barack Obama. Ayers, a former member of the radical antiwar group the Weather Underground, talks about the extent of his association with the president-elect and why he remained silent during the campaign. 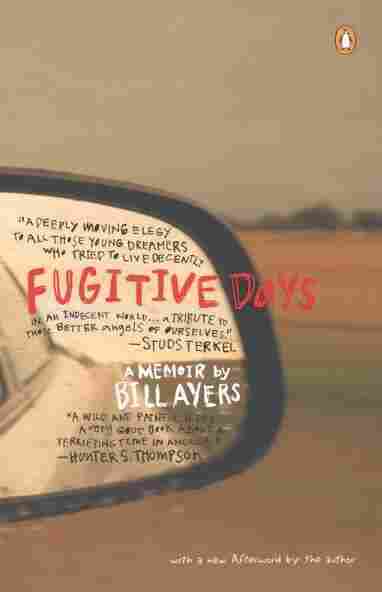 Bill Ayers has been a fixture in Chicago for decades, where he is a college professor and an advocate for education. But Ayers became known to an even wider audience during the presidential election season because of his association with Barack Obama. And not because of their shared work on education issues, but because of Ayers' past as a member of the radical antiwar group, the Weather Underground. In the waning days of the presidential campaign, Ayers became the focus of Republican attacks against Obama. In campaign ads and speeches, the McCain campaign suggested that Ayers is not only a terrorist, but an unrepentant one. After spending the campaign largely away from the public eye, Ayers recently spoke with NPR's Michel Martin about being called a terrorist, the extent of his relationship with President-elect Obama and why he chose to remain silent during the campaign controversy. The following is an excerpt of the interview with Ayers. Martin: You pointed out that, as so often is the case, the issue that surfaced in the general election actually opened up during the primary. Did you think at the time when you first heard this that you would become this character, the image of you would become this big issue? Ayers: I didn't. I really did, I guess, naively believe that even if some overheated zealots decided to try to put it forward, that it was so preposterous on its face that the grown-up media would put it to rest by themselves. I was interested that it took Colin Powell, a conservative Republican, late in the campaign to blow the whistle on this thing. Everyone else reported it as if it were the truth, which it clearly wasn't. So, I felt disappointed that it became so heated and so overheated. And, as I say, it was dishonest in two directions. One was the dehumanization of me as if I'm some kind of a toxic agent. This is not true, and there's nothing about it that's true. I've had decades of public life. And I've written lots of books, and what I believe about many, many things is well known. And so it's dishonest to turn me into this monster. And the second aspect of the dishonesty was the kind of guilt by association, as if, if two people happen to share a meeting or take a bus downtown together or have a cup of coffee together, that somehow then they are responsible from one another's outlooks, behaviors, perspectives, politics. Nothing can be further from the truth, and that's a very degraded part of our political culture, the notion that you have to agree in order to talk. Can I just ask you about that? And I know you've spoken about this in other venues, but for those who have not heard those conversations, Barack Obama described you as a guy from the neighborhood. You had a coffee for him when he was a state senator. How many times? When he was an aspiring state senator. An aspiring state senator, and you worked together on a board that worked on education issues? So is that about it? You wouldn't describe yourself as close? That's about it. I would say the relationship I had with President-elect Obama was similar to relationships he had with thousands, perhaps tens of thousands of people. And just like millions of people today, I wish I knew him better, but the fact is that a lot has been made of this relationship which is just false and not there. We live in the same neighborhood. We live a couple of blocks apart. Of course, we see one another. It's a close knit, but wildly diverse and interesting neighborhood. And so we know each other in that kind of way. Sen. John McCain and Alaska Gov. Sarah Palin both explicitly called you a terrorist. Do you think you were or are? Well, they both used it in the present tense, and even if they — that is ridiculous — but even using it in the past tense is in untrue. I was a leader of the Students for Democratic Society, an antiwar student group. I was a draft resister. I counseled draft resistance. I was an antiwar organizer. I joined the civil rights movement in the Midwest in the mid '60s. All of those things, I did. And at the end of the '60s, I was one of the founders of a militant faction of SDS called the Weather Underground. It came into being in 1970, when three of our colleagues killed themselves in the process of making a bomb. It went out of business when the war in Vietnam ended, and in those five or six years, it took responsibility for something like two dozen acts of extreme vandalism against property. Never did the Weather Underground target people. Never did it hurt or harm or kill anyone. And the conflation of those extreme acts of violence with terror is to make a mockery of the term. We know what terrorism is. Terrorism is what we saw on 9/11 — pure unadulterated terrorism, that is the killing of civilians for some misguided political or religious purpose. We also know that not just individuals and religious cults, but governments can create terrorism. And what we were doing in the late 1960s and early 1970s was fighting against a war of terror against the Vietnamese people, a war that was costing thousands of lives every month. And we were raising a screaming alarm against that war. And to call that terrorism and to kind of let the United States off the hook for what they were doing, it seems to me to be completely miscalibrated. To hear the full interview with William Ayers, click the "Listen" button at the top of the page.